We hold expertise in manufacturing and supplying a wide assortment of Cooler Pump Stamping. we are manufacturer of all type of Electrical Stampings For Coolant Pump and below our this product specification. We are one of the prominent manufacturer and supplier of top quality array of Cooler Pump Stamping. We are renowned manufacturers of a vast range of Cooler Pump Stamping. Owing to the dedication of experts and professionals, we are supplying best quality of Cooler Pump Stamping. 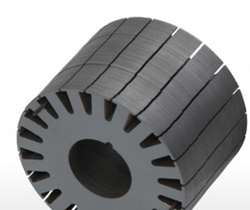 Using the best grade material, we are successfully manufacturing and supplying a wide gamut of Cooler Pump Stamping. Being the leading names in the industry, we are offering an extensive range of Cooler Pump Stamping. We are among the reputed organizations, highly engaged in manufacturing and supplying an optimum quality range of Cooler Pump Stamping. Our clients can avail from us precision engineered best Cooler Pump Stamping.